Until 2009 conservation activity of cultural sites in Israel was characterized by a disregard for the risks of earthquakes. It seems that this inattention stemmed from a lack of awareness, an absence of knowledge that is acquired for the most part by experience and an unfamiliarity with tools and actions with which it is possible to prepare for earthquakes and minimize their damage to cultural sites, such as a ‘risk map’. The government of Israel’s current efforts in earthquake preparedness began with the establishment of the Interministerial Steering Committee for Earthquake Preparedness in 1999. 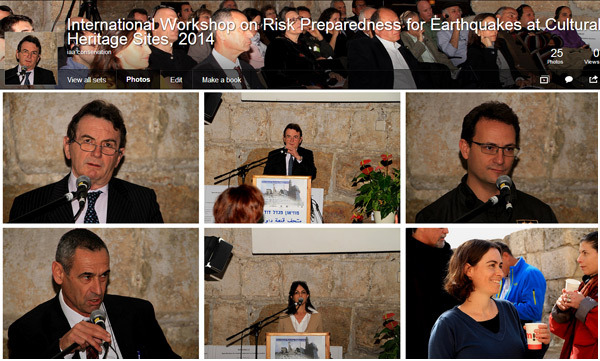 A decade later, in 2009, in the wake of activity by the Israel Antiquities Authority and the Israel National Commission for UNESCO – Israel World Heritage Committee, the second international UNESCO workshop on risk preparedness at cultural heritage sites in the world took place in ‘Akko. This was followed by the creation of a national steering committee to address this issue and promote activity in Israel. The international workshop to be held in January will discuss numerous aspects of earthquake preparedness at cultural heritage sites. It is intended for professionals engaged in heritage conservation: engineers, planners, conservation architects and conservators. · To raise awareness of the need for earthquake preparedness at cultural heritage sites in Israel. · To share existing knowledge about technologies for dealing with anticipated damage and for minimizing damage to cultural heritage assets during an earthquake. · To learn from the Italian experience in dealing with earthquakes. · To promote cooperation with academic institutions in Italy in the field of cultural heritage protection. 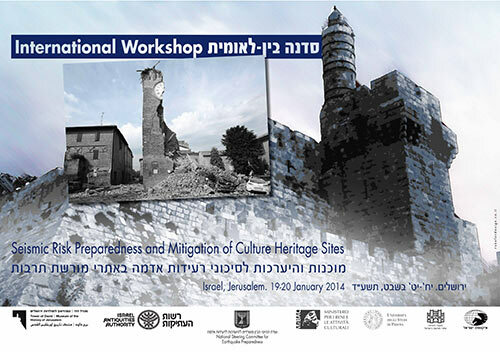 This is the third workshop to be held in Israel, prior to which two workshops were convened in 2011 and 2012, and it will take place under the auspices of the Interministerial Steering Committee for Earthquake Preparedness, the Italian Ministry of Culture in collaboration with the University of Padua, the Israel Antiquities Authority and Society for the Preservation of Israel Heritage Sites. Prof. Donatella Fiorani, University of Roma "La Sapienza"
In addition to the Italian experts, Israeli professionals will present related activities in the country.